Thank's for the vote of confidence. I want to experience more of Alaska. As a traveler and homes owner. I think I would enjoy salmon fishing as a sport. Cooking up the fish. The place I want to get is 34211 Keystone Drive. Soldotna, Alaska 99669. I think there 4-5K people in Soldotna, and has all the shops, hospital, etc to accommodate the small town. Fishing has been good in the past. I don't know what the regs are this year, but the runs have been bad lately. Although you'll own property up here, you aren't considered a resident. You will have to adhere to the non-resident catch limit and number in possession. Soldontna is very pretty though, altough there was a massive forest fire and it's still not fully contained. If you haven't found a realtor yet in Anchorage, let me know I would love to help! I don't work the Soldotna market but can refer you. I don't have a Alaska real Estate Agent. You can help. 960 Coral Lane Anchorage. 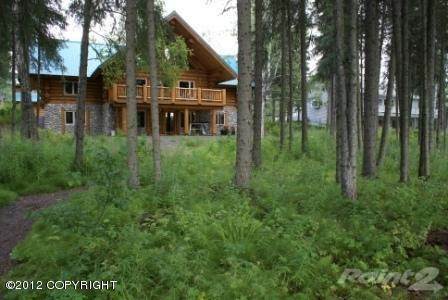 34211 Keystone Drive Soldotna. After this July can start making up letter of intent to buy. Buy properties in December 2014. I plan to have a kingship yacht from Asia for Gustavus, Alaska. So might also want to buy a place property in Gustavus so can utilize the yacht within Glacier Bay, Alaska. Any positive fishing advice for river fishing? The best place to buy all the Alaskan Canada fishing equipment. I am sure to collect fishing poles. Do they use fishing nets for easy gather from the hook? I would enjoy fishing from the dock or a shallow draft fishing boat. I want to bring women friends up to the property and impress them with a fantastic Alaska experience. I would be into hire a local for house man or house woman to take care of the property home. Like some working help for the two properties! Soldotna is a wonderful place to live and play. You better bring a big bank account if you want to purchase the place on Keystone. I used to live right down the road from that home and it is HUGE! Last I looked, it was listed at over 1.2 million. The Kenai is closed for King fishing so far this year. King runs and harvests have been very low for past 5 years. The resource has been over-fished and it may be a while before the population recovers There are many place to fish in and around Soldotna, and several species of fish to target other than kings. Don't worry, chinawishchild will have a big bank account cause he is also going to buy a place on the outer banks in N.C. and start a company in "Billingham" Washington! He's got some Hawaiian aspirations too. Would it be fair to tell them they need him?????? Could this be MORE of a scam?